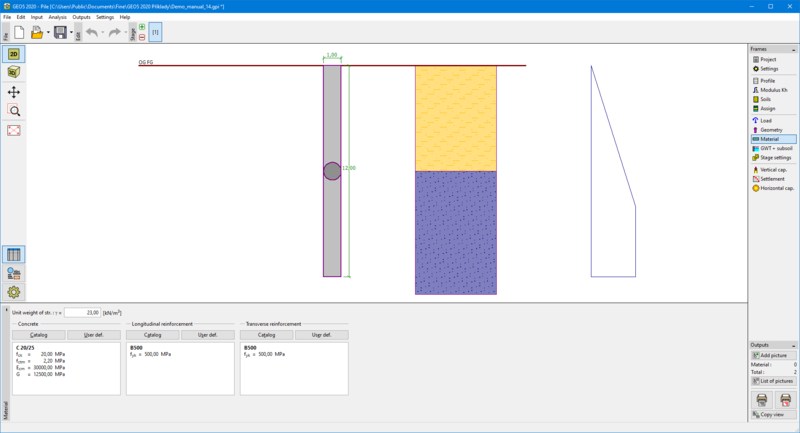 The "Material" frame allows for specifying the material parameters. The unit weight of a structure is introduced in the input field in the upper part of the frame. The appearance of the frame varies according to the selected material (concrete, steel, timber) in the frame "Geometry". The content of catalogs depends on the selection of relevant standard for the dimensioning of concrete, steel, or timber structures set in the "Materials and standards" tab.